A few months ago, after I had been making my signs which I paint on wood...I got this great Holy Spirit idea to paint a wooden spoon. The reason was to remind myself that I have the gift of God within me to stir up the gifts of Who He is which is on the inside manifesting outwardly...one of them being His gift of JOY. After painting the spoon, whenever irritation and complaining would rise up, I was reminded of the JOY spoon! I grab the spoon, get in my stance and start the stirring motion along with a dance. At first I shout with great irritation..."I have the JOY of the Lord which is my strength. Come on JOY!!!" Suddenly it starts to bubble up and then instantaneously irritation becomes laughter. The transforming power of God's strength revealed in His JOY never fails. It literally feels like a 'bubbling brook' on the inside of me. Giggling proceeds and then proclamations of thankfulness to our God come forth with praises as I worship Him throughout the day not just with music but with a smile on my face, lending a hand, giving a word of encouragement or however else He leads. This evening after arriving home from a meeting, our daughter was down and out. As I walked into the room where she was, I embraced her and the embrace allowed her to cry and reveal her frustration. I gently pulled away, my arms still wrapped around her and said, "Tristin, I think it's time for the spoon!" At first she looked at me with the eyes of "What?" When I continued with a giggle - "Not the spanking spoon - the JOY spoon." Come on! Let's stir up the JOY on the inside of You in Jesus Name". As I started to 'perform' my silly dance; in a stirring motion with my spoon, I shot it up to my mouth and had to pretend it was a microphone! I attempted to sing, which made it funnier and I screeched with a shout, "JOY! Do you know what that stands for?!" Tristin laughed and said, "What?" I said, "JOY stands for, Jesus Over You" and I knew right then and there that was by the Holy Spirit of God! I took her by the hand and we started running through the house so she would purposely laugh! At that moment the Joy of the Lord pulled her out of her pit of despair. The Great Strength of God came over her and her giggles filled the house with such a beautiful melody of laughter! Our giggles became the weapons against despair and jaded perspective. In God's joy it became her medicine (Proverbs 17:22). Are you in need of a stirring on the inside? Stir it up! The cool thing is that we don't need to pray for Joy...we must be aware of that which has already been provided on the inside of us - when we accept Salvation from our Rescuer Jesus! We are God's vessels of encouragement even over our own lives of discouragement! Again! I say, "Stir it up!" Let His strength be revealed in you today! May 25, 2010, "Compassionate Embrace Revealed by Jesus"
Embracing people for the glory of God is what we are called to, not the embracing of what the world has to offer. What the world has to offer for us to embrace is like embracing a castle made of sand...it will crumble and fall and the only thing that remains is just that...remains...no substance, no life. The Light reveals our God. Jesus is the Light who revealed His Father God. We have the Light that reveals the Father, but what has stopped the majority of us to shine forth the light? It's concern for the things we 'believe' or have been convinced we should be concerned with. We are concerned with who has what 'anointing', what book we should be influenced by, what this part of the church isn't doing. Before you know it, it becomes about us all over again...the vicious cycle of humanism. When we get back to the letters in Red; that Precious Book called, The Bible, we will see the unfolding and revealing of our Father God. We need to get back to the simple, yet powerful mission of Jesus Christ! His love revealed Almighty God! I love my Jesus. He never cast out people who were demon possessed. He never cast out the lepers. Jesus did not cast out the woman with the issue of blood. He didn't let death despair Him; but He called forth life in the midst of death. He didn't cast out the people...He cast out the influences over the people, all along revealing the Love of The Father. That Love was led by God's compassion which resulted in deliverance, healing, wholeness and resurrection power! That Light casts away the darkness and reveals the powerful Loving embrace of our God! We possess the light and we have been made the Light through Jesus Christ as we have been called to repentance...am I embracing or am I shunning away? The power of the Living God is within us. God sustains us when we yield and submit to Him...there is no excuse but to reveal His Love, for it is not by our power or our might, but by His Holy Spirit (Zechariah 4:6)! Reflecting back to something I wrote one year ago...I needed this today Lord..thank you! Let us remind ourselves of How Mighty of a God we serve as He does not abandon! "Enter into His gates with thanksgiving and a thank offering and into His courts with praise! Be thankful and say so to Him, bless and affectionately praise His name! For the Lord is good; His mercy and loving-kindness are everlasting, His faithfulness and truth endure to all generations." There are times I love to pray the scripture from Psalm 100, but then I forget which one comes first...courts or gates....haahaa! Then today, I got this great visual as I went to the Word and prayed this out. I believe the Lord gave me this analogy, "Teresa, before you can enter someone's gated property, you must first go through the open gates. As you proceed through the entrance of the gates, you are grateful that they let you in. As you enter in with gratefulness, you are able to enter into their courts. "Father God, In the Name of Jesus by the power of the Holy Spirit, I am thankful You have allowed me into your beautiful gates. Lord, as I enter into your courts, I am overwhelmed by Your Majesty; entering into your courts all I can do is praise You; for You are Awesome Glorious, Majestic and beyond words to articulate my awe of You Father. Thank You Father, Thank you. I rejoice in You O Lord!" May 20, 2010, "Overwhelming Needs met by an Overwhelming Awesome God"
The needs are profound. There are many who are seeing the hard times come upon them as two great walls that are slowly coming together, crushing all hope, giving up with no life left. I am amazed to see the ones who have the Lord, they have great hope in Him. They are hoping for a great result, but it seems that even in the midst of great hopelessness and no matter the result, their eyes are steadfastly stayed on Jesus Christ, the Hope of Glory. As I am thinking of the several families that are going through these times I am being reminded at this moment that while in the store, school, place of business and we see a need that must be met, then I believe we aren't there by coincidence, but by God's divine appointment. I am reminded that it may not always be about the financial need, but the investment of our time, a word in due season, an embrace, a touch on the hand, or praying. I pray that I am ready and willing by His great power and strength to do what needs to be done. Many times the situations around us that we may be experiencing or seeing others experience seem like Mt. Everest; the overwhelming needs we see right before us, cause us many times to not do anything at all. However, as the tiny little ants that God created, it is our reminder of what we can do as we work together. 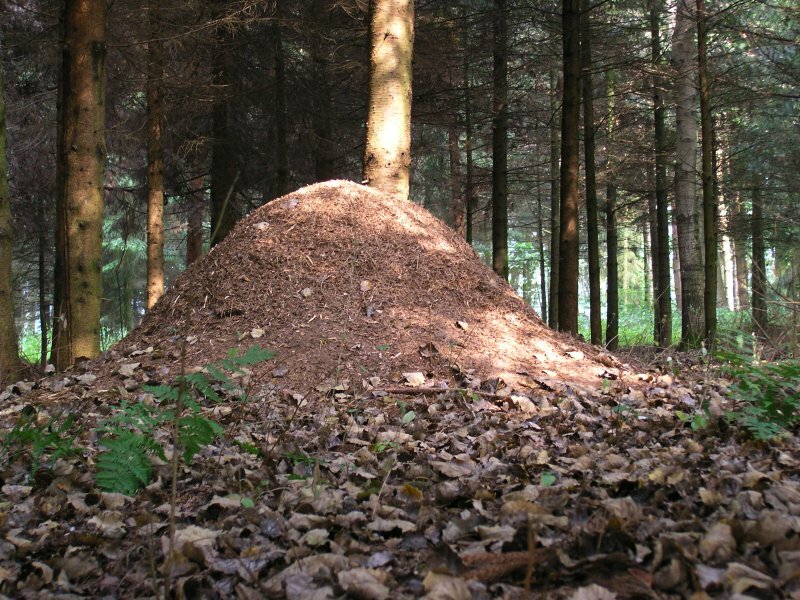 The little mounds that we see the ants build in the dirt in comparison to their size is a huge mountain that they were able to construct together. Their individual 'gifts' that they operate in together allows great conquest! The gifts and time that we have available to us, we are able to see great progress on someone else's behalf for the Glory of God. I am reminded today to pray for the wisdom of God and His understanding to be stirred up on the inside of me. May we be ready in and out of season as we are sensitive to the Holy Spirit of God! If you have a testimony of God that you'd like to share in regards to this, please comment! I would love to see how the 'God ideas' were manifested through your life or upon your life! May 18, 2010, "The Comforter...He Provides What He is! Isaiah the prophet speaking by the power of the Holy Spirit of God revealing Jesus Christ hundreds of years before Jesus came to the earth! The people in that time caught only a glimpse of what would be manifested upon the earth hundreds of years later as Isaiah spoke of this Indescribable Liberator and Freedom Fighter revealing Triumphant Victory! And now thousands of years later, we are able to experience that which the people could not comprehend experiencing for one moment. The imagination of the people could only take them so far in attempting to imagine such a beautiful freedom. Have you allowed Jesus Christ to become your Savior and Lord? Is He Your Savior, your Rescuer? Did you allow Him to rescue you? Are you in awe of how He revealed the Father God as He walked this earth? Do you know that we have the power to reveal the Son of God, because of the Holy Spirit who reveals Jesus? As I read the scripture from Isaiah, it is never tiresome to read what the Holy Spirit reveals of our Father. Notice! He is our Comforter. 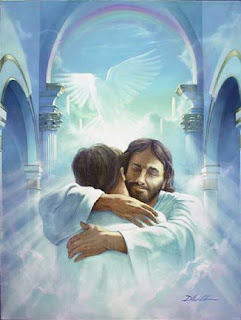 Our God longs to comfort you and I. This is beyond our ability to comprehend. I love that God is not just a Sympathizer...He with great overwhelming action longs to comfort us! I believe more than anything, He longs for us to know, believe, experience and live that He is The Great Comforter in our lives, so that we may manifest this by His power into other people's lives. What is a glimpse of the Comfort I have received from the Great Comforter? O! Wow! Words do not come close to describing such beauty. He gave me His refreshing, rejuvenating, resurrection life revealed by His oil of joy in place of my mourning for what is gone and dead. He has given me more than I could ever hope or imagine. One example in the comfort I have receive from my Lord and Rescuer is the condemnation of sin in the form of abortion. The murder of my children, His glorious gifts of life, I rejected because it 'inconvenienced' my life of selfishness. The muddy waters I barely walked through, the images around me lurking through the waters reminders of the shameful sin. In horror, I attempted to close my eyes through the trudging of heavy, haunted waters. I wept, crying out for someone to rescue me from the shame and weighing burden that seemed to drown me in despair. Suddenly, I could see the mighty silhouette of His outstretched, nail scarred Hands reaching out to me. Sadly, my hands resisted His, yet my cries continued. I was blinded by the sin that resulted in great shame and condemnation. When I finally stopped and quieted the whirling voices of condemnation, that is when I heard the voice of Truth. The mountains that surrounded me in one moment were consumed and destroyed by His Majestic, Holy Voice of Freedom. His beautiful, overwhelming voice of Truth revealed by His great freedom showed forth God's unfailing forgiveness over me and with great awe, I finally received. As I received His forgiveness, I was able to forgive myself and ask God if it was possible to please tell His beautiful children that I once rejected, how much I loved them. Please tell them Lord to forgive me, please God. At that moment, I knew with His great comfort that the revelation of forgiveness was an action. In the journey of His Great Comfort, my mourning was turned to joy as the oil of His Holy Love saturated me, revealing His beauty for my ashes that I finally handed over to Him. And in the revealing of His beauty my wardrobe changed from heaviness and cloaks of darkness into a beautiful garment of praise! The praise revealing the Comforter, my God! He healed my broken heart, His proclamation of freedom and liberty to me that was once held captive by my choices, Jesus, the Key opened the prison in which I had been bound! Daily, moment by moment, I am reminded that I can enter the prison without any help of the enemy, when I allow my thoughts to be overwhelmed by what I have done, more so than being overwhelmed with what my God has already finished and conquered with Triumphant Victory through Jesus Christ! I praise my God as He is Comfort and reveals His comfort in the midst of great darkness! We must allow His Holy Love to overwhelm us today, so that we may reveal that overwhelming love upon others! I am reminded today and at this very moment, that He provides what He is! "...I can of Myself do nothing. As I hear, I judge; and My judgment is righteous, because I do not seek My own will but the will of the Father who sent Me." Romanticizing thoughts of My Savior is overwhelmingly beautiful. I am so amazed beyond amazement that I have been rescued by my Savior Jesus Christ. My spirit yearned for something more than the wisdom of the world could offer. My heart said, "Yes" to His glorious, mighty hands as He reached out and said, "Will you follow me?" Will I follow this Amazing Savior who could have said, "Look at me! Look what I have done. Look what I can do." Yet, instead as recorded in John 5:30, he says, "I can of Myself do nothing. As I hear, I judge; and My judgment is righteous, because I do not seek My own will but the will of the Father who sent Me." I am most amazed by one of the stories recorded in the Bible in which the woman was caught in the act of adultery. She wasn't caught coming out of the house discreetly; she was caught in the very act. I often imagine this woman being dragged out, most likely naked, revealing her shame. Humiliated as the crowd is bloodthirsty to kill her and yet My Jesus, My Savior makes the famous statement that we still talk about this very day as he speaks to the enraged crowd, "You with no sin, cast the first stone." He could have cast the first stone punishing the woman caught in the act of adultery. He could have, for He was the only one without sin. He was the Mighty Stone, the Rock of Ages that stood before her to become her stability and strength; not the stone of her demise. O, how I rejoice in You Lord! You are the Stone that the builder's rejected! You are the Cornerstone in which we must build and You must be our guide so that we do not waver. I am encouraged by this reminder that Jesus Christ who revealed our Father God, only gave His Father the Glory. He did not receive any glory for Himself, He could have, instead He transferred it directly to the One from Whom He trusted! "[As for] God, His way [is] perfect; The word of the LORD is proven; He [is] a shield to all who trust in Him." I sigh with great satisfaction. Today, my dear friend Jennifer and I received a massive God Kiss as we were able to fellowship with one another. Our fellowships consist of giggling, trading back massages and more than anything basking in the amazing testimonies of our Awesome God! I love my 'God kisses' when I am with her especially...the experience is even richer. It reminds me of the principle of agreement in scripture where two or more are gathered in His name, there He is in the midst of them! When Jennifer and I get together, many times it is an experience of God's beautiful embrace upon His daughters. While Jennifer and I were laughing about our struggles and the healing that God is bringing us through, especially in regards to obsessing with cleaning or organizing, she said something that resonated so deep within my heart. She said, "Teresa, have you noticed that we as Christians do not look at 'perfectionism' as an addiction? We actually give place to it and burden each other with it, acting as though it's a good thing. When she said it, it was as though the striving to perfectionism is as a shovel that only digs a deep pit of despair. The struggle with perfectionism is like a drug, and yet we seem to reward those who strive and condemn others who aren't doing it." I am reminded today that God did not call us to perfection, He called us to trust in Him, Who is PERFECTION...HE calls us to rely on His perfection as it completes us by His Grace...not ours! We are not to rely on our inability to be perfect...first, it will never happen and secondly because it only unravels our lives into despair. He has never called us to forgive, love, or bless others on our own strength...it can't be done because of our own conditional agendas and judgments...we are called to trust Him, rely on Him so that we can forgive, love and bless others through Jesus Christ who gives us the strength to do such a work that transforms lives! May we remember today that the rich, wealthy blessings of God, revealing salvation through Jesus Christ; is a story of His perfection that unfolds into a beautiful, revealing power of God's great redeeming love story that our lives get to be a part of to share with others with great freedom and joy! Today's reminder is from one year ago today...I pray you are blessed as I was. "And whenever you stand praying, if you have anything against anyone, forgive him and let it drop (leave it, let it go), in order that your Father Who is in heaven may also forgive you your [own] failings and shortcomings and let them drop." The thoughts of how her friend spoke to her rehearsed in her mind like a broken record. The more she 'nurtured' the pain, the more her face revealed pain and anger; unknowingly she fed bitterness. Surrounded with beauty of her children and the love of her husband she would rather not give place to because her mind was so consumed with how she felt she was wronged. Legitimately, she had a 'right' to be angry, however, that right infringed on her joy from the Lord. It infringed on enjoying her beautiful blessings. Her life itself. I am amazed when we don't hold a grudge against someone that perception has great life and most things seem to be seen with beautiful technicolor? The way you receive things are different. Yet, have you noticed that when we perceive things through pain and betrayal, nothing seems to be right? When you do hold a grudge or unforgiveness against someone, maybe due to betrayal, your perception truly changes. You tend to look at everything through the 'eyes' of betrayal, grudges, and unforgiveness. Leariness comes instead of compassion. I believe that one of the many reasons why Jesus said, "When you stand praying, if you have anything against anyone, forgive him, drop it, let it go..." because He knows that when we stand with unforgiveness, we are unable to communicate in prayer with His perception, instead it is through our wronged perception that we 'attempt' to pray. I believe praying is truly 'echoing' back what the Word of God says over a person or situation. Praying should not be 'echoing' back what has already happened, that's called re-hashing things, meditating on what has already happened only makes it worse. Writing at this moment has allowed the Holy Spirit to convict me with a reminder of what I am called to do, whether I feel like it or not. I am not here for my own purpose, I am here for His. In that purpose there is constant growth, constant learning, constant reminding and constant changing before The God who never changes. Let us praise our God that He is the same yesterday, today and forever. He remains the same as everything else is constantly changing. He is the only One we can trust to never change. Today, I am reminded of what He has required of me. To do justly, to love kindness and mercy, and walk humbly before my God as I forgive others not holding grudges (Micah 6:8). Finally, we must not confuse forgiving sin with forgiving others. We do not have the ability to forgive sin, however, we do have the ability to forgive the person by the Grace of Almighty God. Sometimes the hurt caused, allows forgiveness to be a tool to pray for that person or people and loving them with God's love, not our own. I must be reminded at times that forgiveness does not mean I have to 'hang out' with that person; but forgiveness is a tool that God bestows upon us so freely, that we must bestow on others. Forgiveness is not mine. It has been provided for me, but not only for me but to go through me onto someone else. "Her children rise up and call her blessed (happy, fortunate, and to be envied); and her husband boasts of and praises her [saying], "Many daughters have done virtuously, nobly, and well [with the strength of character that is steadfast in goodness], but you excel them all." This is to honor every woman who is a mother. Especially the one's who have endured miscarriages. Just know that just because you may not have carried that precious child in your arms, your womb carried what your arms could not embrace. The precious child heard your heartbeat of love on their behalf. They knew as their mother you wanted more for them than you ever wanted for yourself. I honor you today especially, as God embraces you with His comfort, grace and unfailing love. If you are expecting to meet your little one soon, Happy Mother's Day, as you will be elated. Will it change your life? Yes! In the best way ever. After you have your precious child, you will have memories of your baby being with you, even though they weren't really there. Why? Because once you meet your child, it is unfathomable to imagine life without that little person. It is amazing, yet true. Watch and see! If you have little one's at home and as they annihilate you with great love on Mother's Day, may you know that they rise up and call you blessed as they know they get to call you, "Mom"! If you have teenager's at home and they annihilate you with great love on Mother's Day, may you know that they rise up and call you blessed as you are assisting them through this monumental time in their life. If you have teenagers that seem to not care or don't care, just know that one day they will rise up and call you blessed that you were there for them in that difficult time of their life. They will look back and say, "I know how blessed I am to have her as my mother." If you have young adults that you rarely see; maybe in college or they are in a far off land, even serving our country, may you know that they rise up and call you blessed as they have you fervently pray to God on their behalf. If you have children that are now married and have their own families that they are now raising, may you know that they do rise up and call you blessed as you are their mother. They know, "my mom is just a phone call away", if they need your counsel. Now they have children that call your daughter who is their mother blessed. If you have lost a child at any stage of their life whether it was from the womb, infant, toddler, child, teenager, young adult or as an adult, may you know you are comforted by Almighty God. As you look to Him for your strength, as we all rise up together and call HIM Blessed as there is NO ONE ELSE LIKE OUR GOD. We are truly blessed on Mother's Day. May we look at our children as our gifts, not in what they do but from Whom we received them from. Any gift is wonderful, but our children are one of our greatest gifts from God. To be able to receive a name called, "MOM" on this earth is nothing short of amazing, even when we think our children may have worn out that name, it is the greatest name to be called as we are crowned with that beautiful name, 'Mom'. Let your father and your mother be glad, and let her who bore you rejoice. "He grants the barren woman a home, Like a joyful mother of children. Praise the LORD!" I sit here on my bed, with the laptop, watching my daughter sleep. Her little nose congested and her throat sore. I pray the healing of God that is already available to be made manifest on her little body in Jesus name. This leads me to the reminder of the privilege and the opportunity to pray for this sweet spirit that I get to call, 'my' daughter. 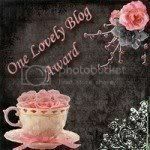 I am led to my definition of 'mother' with inspiration from Lisa Bevere. The world and the church need less mentors and more mothers. "A mentor duplicates themselves, however, a mother is someone who desires more for her children than she ever wanted or could dream for herself." Of course, every day is Mother's Day, if you have or had a child, whether you have carried a child in your womb, await to adopt or even foster a child, whether you have given birth, had a miscarriage, or a still born birth, you are a beautiful mom. To the women who have desired to have children, and have not seen this in your life, yet, you are able to nurture another person or child...you are a mother! To each of you, I with great privilege, honor you this beautiful day called, Mother's Day. I believe I must also say, to those of you who have sadly and with regret have aborted your child, God has forgiven you. I know too well that the 'right to choose' sadly has great consequence, the murdered, unborn child has no say and no safety in a place where there should have been great refuge...in the womb. By the love and mercy of God, I embrace you and whisper into your ear, by His great love, "You are forgiven mom." I ponder the amazing beauty to be a mom. To hold a title such as Mom is amazing. I desire that I think of this title as a privilege every day. By the way, the words, 'just' and 'mom' should never be in the same sentence. We are not 'just a mom'...we are women who inspire, lift up, encourage. We are highly trained motivators, movers and shakers, raising up mighty leaders who have mandates that are specific to the call on their life from God! Lord God in the Name of Jesus, thank you for Your forgiveness and Your love to allow me to celebrate this day! Help me Lord to look at being a mom as a privilege at ALL times! Thank You that being a mother that you have called each of us to be must be by Your Grace. God I know that You not only possess the character of nurture, but You are Nurture...You are God and your supply of nurture and inspiration is bountifully overflowing! I love You Father God! Jesus, thank You that You never placated sin and pride. You are Truth. Truth is Truth. A lie mingled with truth is still a lie. And You are NOT a lie! With You Jesus there is no mingling of anything...You are Straight Up Righteous and Just! Hallelujah! I praise You Father for The Truth! Your Truth leads and guides us as we trust in Truth! You are The Word of God made flesh! You are The Death Conqueror! You are not just awesome...You are The Awesome! Thank You Lord that we can rejoice in Who You are!!!!! Thank You! Thank You! How great, how awesome, how amazing you are God! You are King of kings and Lord of lords! You are King of all, as you need no advisors! You are Lord of all, as You not only own everything, but You created everything! You are The Bright and Morning Star! The Alpha and The Omega! I love that Alpha is the beginning of the Greek Alphabet and Omega is the last of the Greek Alphabet! The Beginning and The End...Yet You have no beginning nor will you ever end. You do not fail, nor do You have ability to Fail. You are Father, every attribute of Who You Are is Father. You Holy Father Provide, Protect and Heal. You not only have the ability to do this; but You are Provision, Protection and You are The Almighty Physician...you not only restore the body, but also the mind and the spirit! Beyond this life is the life to come in Your Holy Presence in ways our mortal minds could never imagine, unless we melt into nothingness! God! When I start to worry about my needs not being met...I am reminded who My Father is...YOU!!! You are so Awesome! You are God! You are King! My husband and I were reading Matthew 13 together. It is a passage that we have read, been taught and many times are taught in relation to finances. I have to say, although the principles of God cover every aspect of our life; as we read this passage, I wanted to read it from the perspective of Jesus teaching. I didn't want to read it from an angle to benefit agendas that we want to see fulfilled in our own lives; whether it be with our family, jobs, 'church', leadership, finances, and choices in general. "When anyone hears Jesus of the Kingdom, and does not understand Him, then the wicked one comes and snatches away what was sown in his heart. This is he who received seed by the wayside. But he who received the seed on stony places, this is he who hears Jesus and immediately receives Him with joy; yet he has no root in himself, but endures only for a while. For when tribulation or persecution arises because of Jesus, immediately he stumbles. Now he who received seed among the thorns is he who hears Jesus, and the cares of this world and the deceitfulness of riches choke Jesus out of their lives and the one who received the seed becomes unfruitful. But he who received the seed on the good ground is he who hears Jesus and understands Him, who indeed bears fruit and produces: some a hundredfold, some sixty, some thirty." When we hear him, may our hearts be continually tended to and guarded so that we do not get snatched from, give up, stumble or choke out the purposes of God. We are made righteous, not by our doing, but by what Jesus did. In this, let us allow The Word to maintain our hearts in ways we could never imagine, so that we are producing the things with Him and of Him in ways we could never imagine!